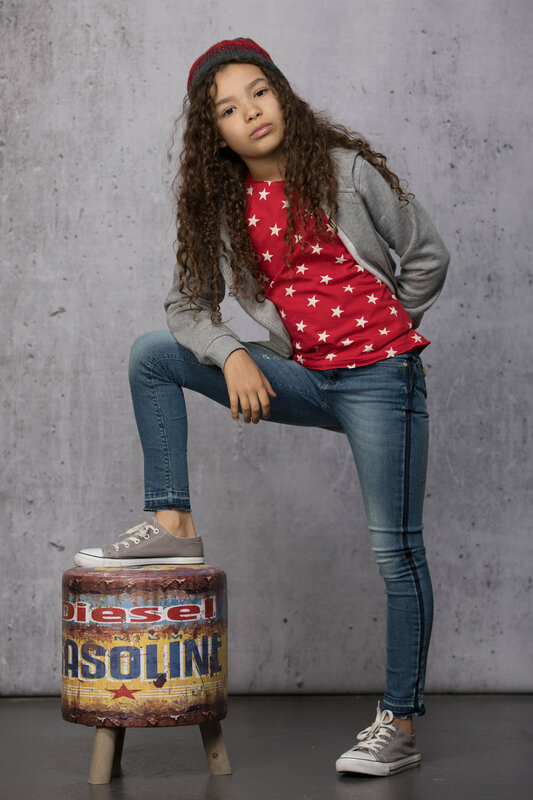 At Kids Fashion Group, we make it our business to provide the highest quality children’s wear products, while offering an unmatched variety of collections in a multitude of designs and silhouettes, for girls and boys, all at competitive prices. It's all here, under one roof at KFG North America. browse & Explore our brands! Kanz is a German trusted name in babies and children’s wear since 1949. The collection offers more than 500 styles each season in ages 0-12. Kanz specializes in fashion design and manufacture of baby and children’s clothing. The brand has been a trusted and loved for more than 3 generations. It combines festive and every-day designs with innovative, trendy details for a unique European flair. High quality manufacturing processes and moderate price points play an essential role in the brand’s success. KANZ is a name that stands for safety, reliability, fashion, and affordability. A colorful world for the entire family – that is what lief! lifestyle is all about. This Dutch label offers a comprehensive product range for babies, children, home accessories, as well as outdoor and garden furniture thus creating a holistic brand experience. Thanks to numerous licensors, the lief! lifestyle segment has relied on strong partnerships and positions itself as an authentic quality brand on the international market. Discover the world of lief! lifestyle through their shop-in-shop concept. The lief! brand provides a regimented product mix that creates a beautiful flow of items that will keep customers engaged and throughout the seasons. Each product category of lief! lifestyle is represented in their Shop-in-Shop concept and features a branded look with custom furniture and fixtures, supporting media, and product training to make lief! lifestyle an unforgettable experience. Watch the lief! lifestyle Corporate Video. The Danish children’s clothing label Ticket to Heaven has offered functional and durable outerwear for children since 1994. Ticket to Heaven focuses on different materials and qualities, on practical details, comfort, functionality and safety with its warming down jackets, snow suits and a wide range of scarfs and caps. Whether at school, playing around, doing sports in the afternoon or attending special events like birthday parties and more - LEMMI offers trousers, that play along and always look good. Parents can depend on a perfect cut for the best fit and highest wearing comfort, along with high quality products and a compelling price-performance ratio. For every style and size there are 5 fits which makes LEMMI unique to the market. Each pair of trousers features an adjustable inner waistband for additional fine adjustment. The cuts are tested regularly on children by experienced technicians. LEMMI uses exclusively elastic material, some with more than 5% spandex: Super Stretch, Stretch, Comfort Stretch, and select styles with T400 stretch qualities. Finally an additional silicon finish provides the necessary softness in the wash process.